Whether you choose to use our guided fishing service or just want the best information to help you land that big one, Jocassee Outdoor Center (Formerly Hoyett’s) is ready to serve you. Our guides and fishing reports can lead you to some of the best trout and bass fishing on Lake Jocassee and in the Southeast. 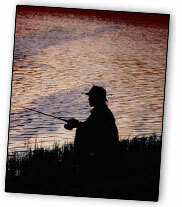 The Jocassee Outdoor Center has a great selection of bait, tackle and fishing equipment to make your fishing a success. We are committed to make fishing the best it can be for you. Review our fishing reports, fishing tournement schedule and photo gallery of success stories.